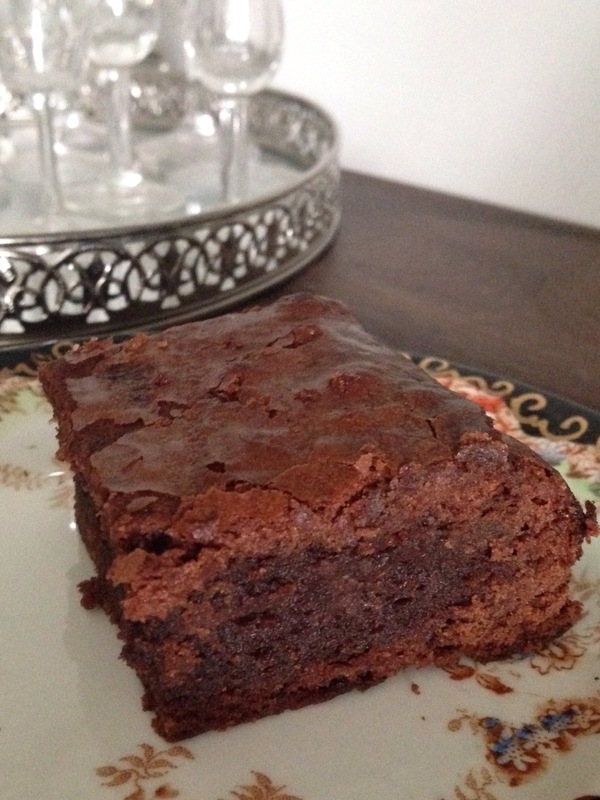 Just thought I would do a quick blog post to share this brownie recipe with you all. It’s such an easy and foolproof recipe, and they always taste delicious. Enough of my rambling I hear you cry, just give us the recipe. Here you go, it’s adapted from a Nigella Lawson recipe (from her How to be a Domestic Goddess book). Melt the butter and sugar together in a saucepan. In a bowl whisk the eggs together with the sugar and vanilla. Once the chocolate has melted, let it cool slightly then beat in the eggs and sugar mixture. Then add the flour. Scrape into your lined tin and bake for about 20 mins or so. I usually find 22 mins is spot on but it depends on your oven. The trick is to take them out when there is still a wobble – leaving them all gooey inside. This entry was posted in Baking and tagged baking, brownies, cake, chocoholic, chocolate, comfort food, country, dessert, great british bake off, home, life. Bookmark the permalink.